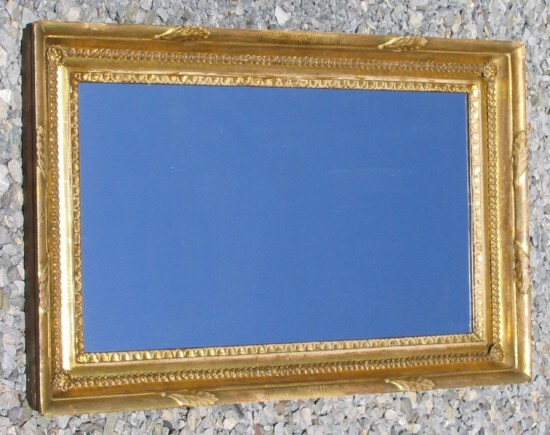 Wonderful early mirror, probably made in 1780’s. Remarkable shape for its age. Patina consistent with age. Great decorative details. 20-3/4 x 31-7/8 in. outside measurements. The frame is 3 in. wide.